Rockets will always be cool no matter what age you are, and building your own rocket is even better. 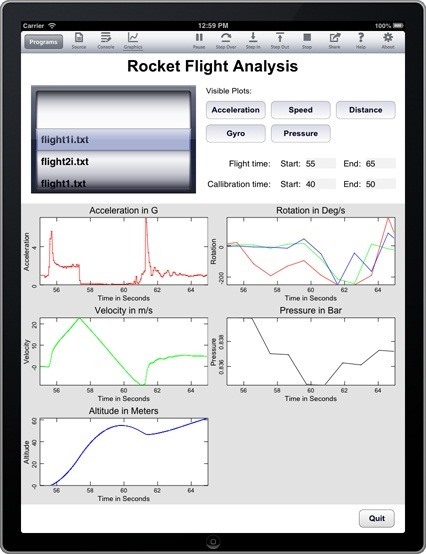 If you have an iPhone that you aren't afraid to blast off into the sky, then you can try and build your own iPhone Rocket to record and analyze flight data, like Byte Works did. The list of parts is a little hefty, but their blog provides you with all of the information you need to make sure you have everything. The most important thing you need is the sensor tag, so that you can record the amount of pressure, speed, humidity, wind patterns, and so on. You can buy a sensor tag for around 25 bucks. 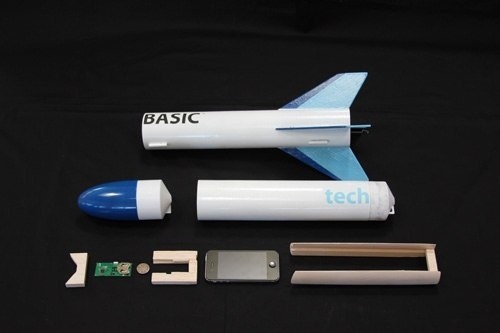 An iPhone accelerometer can track some of these things as well, but when going the speeds that a model rocket can go, it has a tendency to throw off the phone's measurements. In order to access the information from the sensor tag, you will need to download techBasic from the iTunes App Store. Once you pair the two devices over the Bluetooth connection, you will have access to the sensor's flight log. If you want to make more use out of your iPhone, you can record video or take timed photos with the camera. Simply cut a hole in the rocket to accommodate the iPhone's camera and launch. For detailed notes, completed launches, and more technical instructions, check out the Byte Works blog.